Scenic Solutions is a consultancy practice based in Adelaide, South Australia, which has completed a series of projects and consultancies that have quantified and mapped scenic quality, developed tools for its prediction, assessed the visual impact of developments and advised on policies to enhance and manage scenic quality. Scenic Solutions was established by Dr Andrew Lothian as a consultancy practice following his PhD on the subject: Landscape Quality Assessment of South Australia. Measure and map the scenic quality of an area to provide quantitative and spatial information; small scale through to regional in scale. Assess the change to landscape quality before and after developments, including analysis of options to minimize scenic impacts. Assist in the development of land use planning policies, management measures, and other policy initiatives to guide the protection, enhancement and management of landscape quality. Advice on the likely scenic quality of an area or effect of development & land use change on scenic quality. Although the methodology employed by Scenic Solutions was developed and applied in South Australia, landscape quality can be assessed throughout Australia, at local, regional, and State levels, and also internationally. Similarly, the assessment of land use change and of proposed developments on landscape quality can be undertaken anywhere in Australia or internationally. Examples include wind turbine developments, major energy-related infrastructure, major road and other transport infrastructure (e.g. airports, ports, railways), and changes in land use such as vineyard or forestry developments replacing traditional grazing or arable uses. Small projects draw on the knowledge and expertise gained from previous work in identifying the likely scenic quality of given landscapes and to assess the likely visual impact of developments. Assessed the visual impact and acceptability of wind farms in SA, Victoria and NSW. Identification of scenic quality as a significant environmental resource requiring assessment in respect of proposed developments or changes of use, including assessment of the likely change to landscape quality from these developments or changes in use. Scenic Solutions is not a landscape architecture practice; it is not design-based. Nor is it a landscape gardening practice! Rather it uses social surveys (Internet-based), statistical methods and GIS systems to measure human perceptions of landscape quality, the visual impact of developments, and to map scenic quality in an objective way. Dr Lothian has presented his work at various conferences, both in Australia and overseas and has written papers in various journals. These are collected here. Click on the following list of projects. Landscape and the philosophy of aesthetics Is landscape quality inherent in the landscape or in the eye of the beholder Landscape & Urban Planning, 44, (1999), 177-198. Amenity value of native vegetation 2000 Report to the SA Native Vegetation Authority, 11 pages (this report predated the consultancy Amenity Value of Scattered and Isolated Trees). Wind Energy Industry’s Responsibility for Visual Impact, a Study of the Visual Effects of Wind Farms in South Australia Partnerships for Sustainable Development. November 7 – 10, 2004 12th International Conference of Greening of Industry Network Hong Kong. 26 pages. Coastal landscape assessment Powerpoint presentation. Coast to Coast Conference, Melbourne, 2006 (Summary of the Coastal Viewscapes Project) 26 MB. Coastal Landscape Assessment The South Australian Coastal Viewscapes Project Paper, Coast to Coast Conference, Melbourne, 2006, 15 pp. An innovative landscape quality assessment methodology Paper presented to the Planning Institute of Australia andNew Zealand Planning Institute Congress, Cowes, Phillip Island, Victoria, 2006. 30 pages. Visual impact assessment of some developments in South Australia 2008. Australian Planner, 45:4, pp 35 – 41. Landscape management for coastal regions Cases of Australia and their applicability to Korea 2009. Paper. Presentation to the International Experts Forum on Landscape Management, Seoul, Republic of Korea, 3 November. 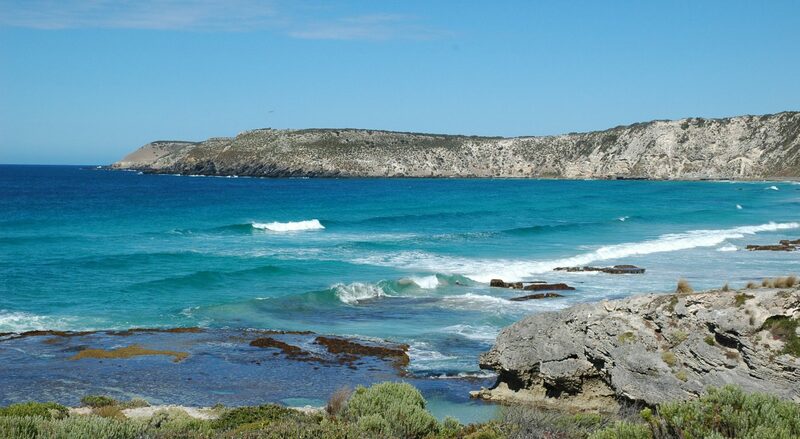 Landscape management for coastal regions Cases of Australia and their applicability to Korea. 2009. Powerpoint. Presentation to the International Experts Forum on Landscape Management, Seoul, Republic of Korea, 3 November. 20 MB. Aesthetics of water in the urban environment. Chapter 19, Adelaide Water of a City, 2010. 12 pages. Landscape quality assessment studies in South Australia, South Australian Geographical Journal, Vol 106, 2007. 24 pages. Measuring and mapping landscape quality using the community preferences method Paper presented to the New Zealand Planning Institute, Blenheim, New Zealand, 2 May 2012. 43 pages. (The paper covers the method and its application in the New Zealand context). Assessing landscape quality an alternative approach. Powerpoint presentation to the New Zealand Planning Institute, Blenheim, New Zealand, 2 May 2012. 43 pages. 10MB. Generic landscape survey report 2013. 74 pages, 11 MB. Uses generic landscape scenes and modifies them with Photoshop. Landscape quality assessment and the Lake District study Presentation to Flinders University Research Colloquium, 13 August, 2014 13 MB. A potential method for the assessment of Criterion Vii World Heritage Convention 2014. 12 pages, 0.8 MB. Scenic Beauty Can it be measured and mapped Powerpoint presentation to the Royal Geographical Society of South Australia, 16 November, 2017. 23 MB. The challenge is the scenic quality is a subjective quality. “Beauty is in the eyes of the beholder” is the common cliché implying that it is therefore impossible to measure and map in an objective way. The projects completed by Scenic Solutions shows that this is false as scenic quality can be measured and mapped in a manner which is not only objective but also provides the means for predicting scenic quality. Furthermore, the visual impact of developments can also be assessed objectively. There are few practitioners in Australia able to measure and map scenic quality in an objective, rigorous and replicable manner. Practitioners of some landscape design consultancies have been involved in landscape quality assessment but this has been on the basis of their expertise in design rather than on the basis of expertise in measuring human aesthetic preferences.